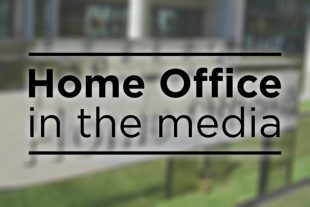 Today’s Home Office related stories include the ongoing Times investigation into forced marriage and visas, and the seizure of suspect components by Border Force officers. The Times continues its reporting of its investigation into the granting of visas in suspected forced marriage cases, today focusing on women with learning disabilities. The paper has identified victims from Asian communities with learning disabilities being forced to marry men and acting as sponsors to their visas. It notes calls for an urgent review of the way the Home Office protects suspected victims of forced marriage. The UK is a world-leader in tackling the horrendous crime of forced marriage and we take our safeguarding responsibilities very seriously. If an individual refuses to act as the sponsor for a visa application then under the immigration rules, that visa should not be issued. Caseworkers are trained to identify cases where the visa sponsor may have a learning disability and these are referred to the Forced Marriage Unit for further investigation. Where the decision maker is aware there is evidence that a sponsor does not have the capacity to consent to marriage, the visa application is turned down. The Times and Telegraph followed up on yesterday’s Evening Standard report on a seizure of two O-rings by Border Force staff at Heathrow Airport. Both reports say that the components, which were found during an inspection of freight, could be used to form seals in warheads. Monique Wrench, Border Force Deputy Director at Heathrow, is quoted as saying that the parts were confiscated as part of “counter proliferation” work.